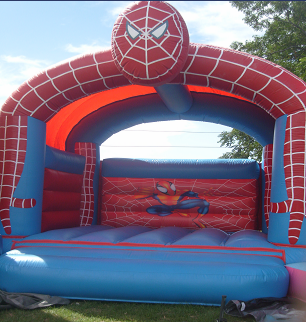 SPIDERMAN bouncer is bright, cheerful, as well as economical at the low rental of $120 for your 4 hours.it measures 4x4m & has a lightweight sunshade. 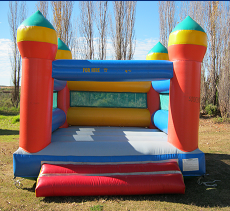 CAMELOT CASTLE is 7x8m with a removable sun/rain sheild.Camelot has a recommended load of 12 children or 8 grown ups. 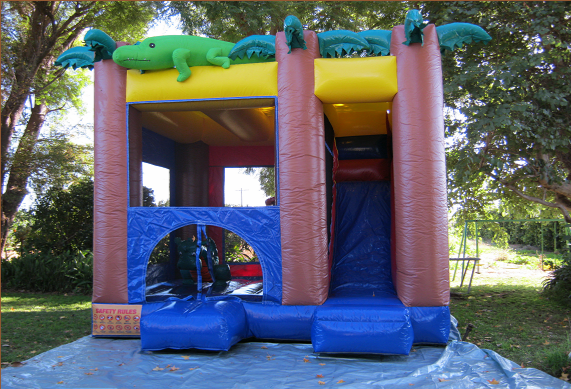 Camelot castle comes to public events fully supervised & fenced at the inclusive price of $95 per hour. 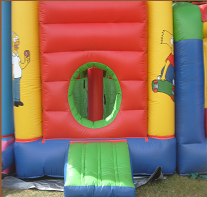 corporate hire is promoted as complimentary rides, for larger private parties, please enquire how you can get your fourth hour FREE! 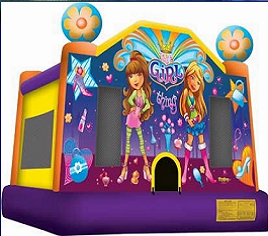 ECONO BOUNCE is a small (3.5x3.8m) bouncer perfectly suited for small groups of young children about 6 six years for example. 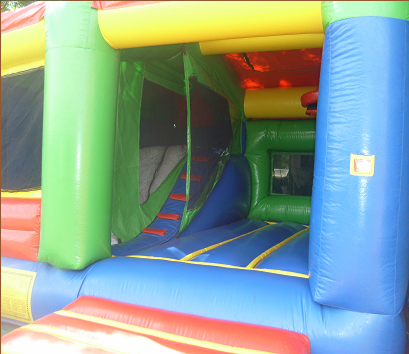 This bouncer is available for 4 hours at the low rental of $90. 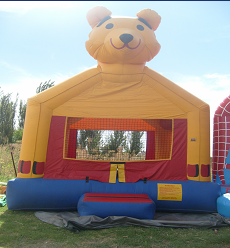 CUBBY HOUSE combo has a mini slide inside, basketball hoop too! 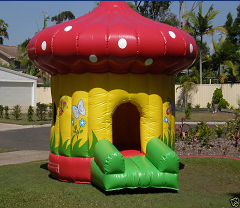 It has an adjustable roof that is not too tall, therefore is sometimes hired indoors with a spacious 5x5m, why not invite the whole kinder,suitable up to approximately 10yolds.unsupervised hire is still only $150, for supervision add $25ph(unsupervised hire is uninsured hire)most people choose unsupervised for private parties. please pay on arrival. Payment is due at or before the time of service! No cheques unless pre-arranged, even then a cheque clearing fee of $50 is invoiced, (unless pre-paid, ie.cleared before the day).  No job will be launched without payment. Thanks for your consideration in this matter.